A garden that connects with our senses through water seems more exciting, complete and memorable. As a shimmering, reflective pond or a peacefully flowing stream, vigorously cascading waterfalls or an even a gentle bubbler in a small patio container, the opportunities to add a unique textural element through the use of water are virtually limitless. The essence of water is its smooth, liquid state that, when set in motion, is truly magnetic. The glimmering active element, which is constantly moving and changing, is difficult for a child to pass by without touching it, regardless of the child's age. From soothing to playful splashing and urgently cascading, water's versatility also has the ability to bring a wide range of auditory qualities to the garden. Water's texture affects all of the senses, which is why it can add so much to any garden, regardless of the style, age or size of the landscape. Whether the water feature is the landscape's main attraction or incorporated as a secondary element, it is important to determine at the outset exactly the nature of the textural properties the water feature is intended to provide. Water is the only natural element that adds depth to the landscape by its ability to reflect its surroundings. The sky, the surrounding landscape or even the impact of garden art, can all be doubled in effect by a water element positioned to become a natural mirror to the landscape. How is a "still" water feature created so that it adds only an element of dazzling reflection in the garden? The key is to keep the area very simple, leading the eye only to the water and the reflection created by its surface. The edging is important and the clarity of the water is essential. The proper choice of mechanical equipment, such as pumps and filters, and the location of all mechanical equipment must all be carefully preplanned. Perhaps the landscape calls for the magnetic quality of an active water feature. The positioning of the water feature so that its burbling or cascading sounds can be enjoyed is essential. Water cannot be anything other than liquid so the key is to allow it to do what it does best, which is move, shimmer, reflect and burble within the landscape. The addition of some night lighting to highlight the shimmering effects unique to water is a great benefit to any garden. Again, it is important that the eyes and ears not be confused with anything other than the magical nature of the water. It is not acceptable or enjoyable to hear the sounds of humming pumps or pumps gasping for water because they are clogged with debris. While it is important to ensure that all of the best construction techniques have been employed, all mechanical aspects should be kept out of sight for maximum visual enjoyment of any water feature. 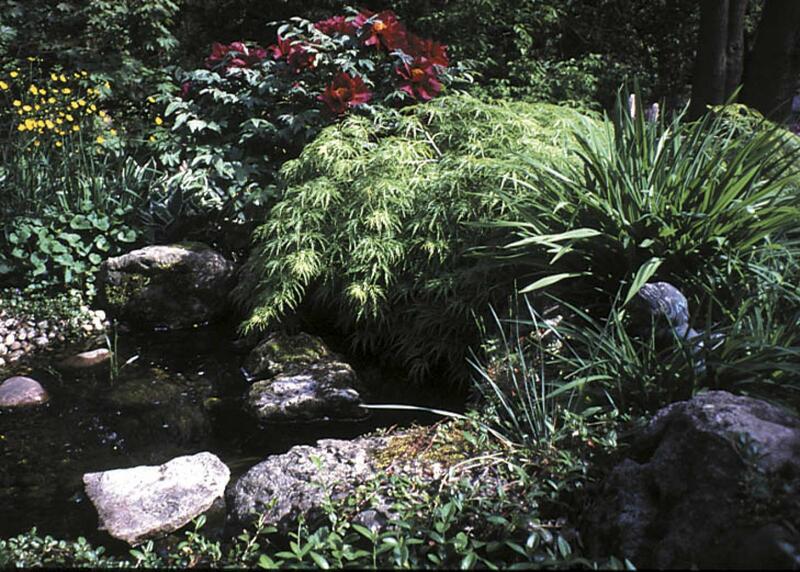 Dorothy Shand is principal owner of Water Arts, a company specializing in the art of water gardening and the products needed to create these gardens.